Accelerate crafted an Eclipse Award-winning career as champion older male by settling into a stalking position early in a race, taking command on the far turn or into the stretch and drawing off to victory. That worked in his length victory in the $6 million Breeders' Cup Classic (G1) over Gunnevera, who finished sixth in the Pegasus. But with overnight and daylong showers creating a sloppy track that was sealed, speed was dominant throughout the day. The son of Lookin At Lucky concludes his career with a 10-5-6 record out of 23 starts, earning $6,692,480. Accelerate also goes down in the record books as the first horse to win the Santa Anita Handicap (G1), the Gold Cup (G1) at Santa Anita (formerly the Hollywood Gold Cup), Del Mar's Pacific Classic (G1) and Santa Anita's Awesome Again (G1) and the Breeders' Cup Classic. “The nice thing is, he's sound this morning, he looks good. You feel good about sending him home. He's had a great campaign, championship year and off he'll go to his next career,” Sadler said. Sadler also finished fourth with Breeders' Cup Mile runner-up Catapult in the $7 million Pegasus World Cup Turf (G1). Catapult had the lead after three-quarters of a mile but weakened to fourth as Bricks and Mortar won the 1 3/16-mile race by 2 1/2 lengths over Ireland's Magic Wand. 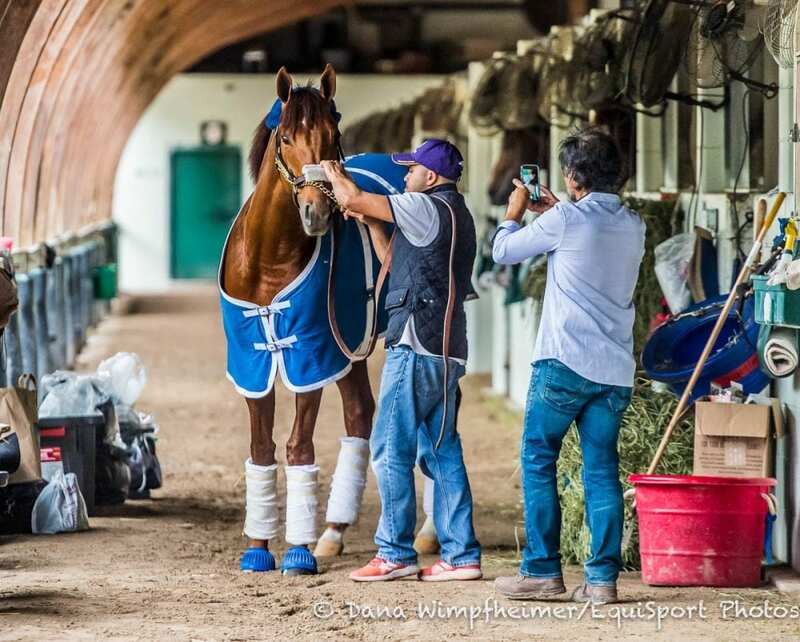 This entry was posted in NL List, Pegasus World Cup and tagged accelerate, breeders' cup classic, champion, eclipse award, Gulfstream, john sadler, lane's end farm, lookin at lucky, pegasus world cup by Press Release. Bookmark the permalink.